Learn what the new Farm Bill will mean to Ohio farmers. 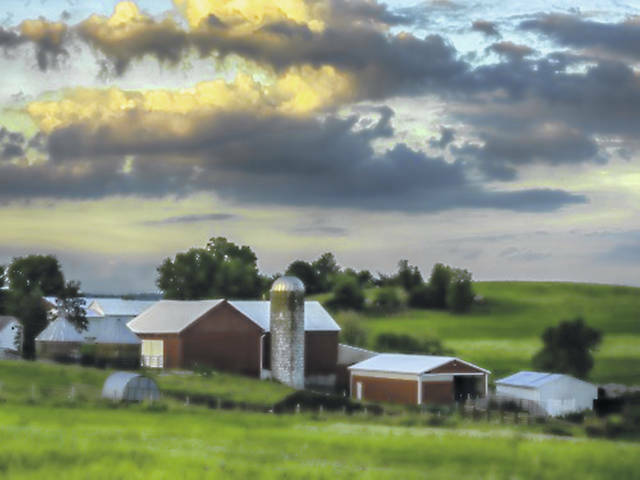 On April 11, a Farm Bill Summit in Versailles will be hosted by CFAES and other partners to address changes in the new farm bill and the implications for the state’s farmers. COLUMBUS – Profits for Ohio corn and soybean farmers are not likely to be as high as they were in 2018 when growers benefited from above normal yields and new government aid, according to an agricultural economics expert at The Ohio State University. At least two factors could be different this year: Yields in 2018 were record high for corn and soybeans, which may not happen again in 2019, and the government payments that farmers received to compensate for the impact of foreign tariffs may not be reissued, said Ben Brown, manager of the farm management program in the College of Food, Agricultural, and Environmental Sciences (CFAES) at The Ohio State University. “We’re expecting Ohio corn and soybean farmers, on average, to either break even or experience losses in 2019,” Brown said. The majority of corn and soybean returns for producers are determined by the price per bushel the farmer is able to sell them for, in addition to the number of bushels per acre the crop yields. Also, farmers can receive government aid. For corn, roughly 8 percent of per acre gross returns comes from direct government assistance; for soybeans, 6 percent, Brown said. Government payments are authorized through the federal farm bill, which Congress passed in December and is budgeted to cost $426 billion over five years. On April 11, a Farm Bill Summit in Versailles, Ohio, will be hosted by CFAES and other partners to address changes in the new farm bill and the implications for the state’s farmers. “We want people to know what the farm bill means to them and what steps they can take to maximize profits going forward,” Brown said. Keith Coble, Giles Distinguished Professor and head of the Department of Agricultural Economics at Mississippi State University. Jonathan Coppes, director of the Gardner Agricultural Policy Program, director of the Bock Agricultural Law and Policy Program, and clinical assistant professor at the University of Illinois; and past administrator of the Farm Service Agency. Patrick Westhof, director of the Food and Agricultural Policy Research Institute, Howard Cowden Professor of Agricultural and Applied Economics at the University of Missouri; and past economist to the U.S. Senate Committee on Agriculture, Nutrition, and Forestry. The speakers will address government assistance paid or partially paid for in the farm bill including crop insurance, compensation for farmers who set aside a portion of their land for conservation, and payments to farmers who grow corn, soybeans, wheat, and other commodities when losses occur due to low commodities prices or low revenue. Producers of commodities have a choice between two programs: Agricultural Risk Coverage or Price Loss Coverage. Prior to the 2018 farm bill, growers chose between the two programs at the beginning of the farm bill and were required to stick with their choice for the authorized period, typically five to seven years. The new farm bill allows producers to make a choice for the first two years (2019, 2020) and then, beginning in 2021, allows that choice to be made annually. Which program is more profitable for a farmer can change from year to year. Another significant change in the new farm bill will affect dairy producers. The Dairy Margin Coverage program provides aid to dairy farmers when the margin between milk prices and feed costs dips below a certain coverage level that the dairy farmer chooses. Higher coverage levels have a higher probability of triggering a government payment, so the premium a dairy farmer must pay to enroll in the program also increases. The 2018 farm bill lowered the cost of premiums for the first 5 million pounds of milk, but raised premiums costs for any milk over 5 million pounds. “The change will help all dairy farmers who participate in the program, but particularly small dairy producers,” Brown said. Producers who participate in the Conservation Reserve Program will see changes as well. Those who opt to set aside a portion of their land for conservation to reduce soil loss, improve water quality, or increase wildlife habitat could receive less compensation per acre compared to what they received under the previous farm bill. However, the farmers will have the option of enrolling more acres in that program. Nationally, the total acreage allowed in the program rose to 27 million acres from 24 million, but the payment rate for farmers enrolled in the program dropped. Farmers have been paid the county rental rate for their property placed in the conservation program, which differs by county. The new compensation rate has been decreased to 85 percent of the county rental rate. To register or learn more about the summit, which is free and open to the public, visit go.osu.edu/farmbillsummit. Questions can be emailed to Brown at brown.6888@osu.edu, Sam Custer at custer.2@osu.edu, or Dudley Lipps at Dudley.Lipps@e-farmcredit.com. Submitted by the College of Food, Agricultural, and Environmental Sciences (CFAES), The Ohio State University.